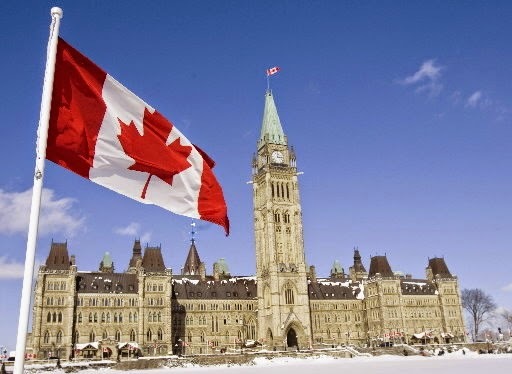 Canadian lawmakers struck a defiant tone on Wednesday as they held their first caucuses since a gunman charged into the Parliament building after shooting dead a soldier in an attack that raised questions about the nation's low-key approach to security. Members of Parliament headed back to meeting rooms where some of them hid a week ago during a gun battle between security officers and an attacker described as a recent convert to Islam who struggled with drug addiction. "There are some jitters, there's nervousness. We are only human," said David Christopherson, a member of the House of Commons representing Hamilton, Ontario, the hometown of Corporal Nathan Cirillo, 24, who was shot dead in the Oct. 22 attack in Ottawa. "No one is going to stop us and nothing is going to stop us, and I'm going to rely on the professionals to do their jobs," Christopherson said on his way to the caucus of the opposition New Democratic Party. "I am going to walk back in the room and pick up where we left off last week and do the people's business." The attack and an incident two days earlier in which a man rammed two soldiers with his car near Montreal, killing one, came during a week in which Canada sent warplanes to take part in air strikes against Islamic State fighters in Iraq. Conservative Prime Minister Stephen Harper has vowed that policy decisions will not be affected by the attacks at home. Security officials have called for legislation making it easier for courts to limit suspects' right to travel and that lowers the barriers investigators face when seeking to monitor suspects' Internet and phone records. "There are many lessons learned, and I think there has been an incredible national reflection on the events of last week as to what we need to do from a security standpoint, not only physically here in the House of Commons but across the country," said Justice Minister Peter MacKay as he joined the Conservative caucus. Michael Zehaf-Bibeau, the 32-year-old who carried out the Ottawa attack and 25-year-old Martin Rouleau, who hit the soldiers with his car near Montreal, appear to have acted independently of one another, police say. Officials described both men as homegrown radicals and warned attacks such as theirs, carried out with minimal planning, pose a "serious" threat to the nation's security. Zehaf-Bibeau and Rouleau were shot dead by security officers. MacKay said the government should consider what to do about Internet messages that glorify such attacks, which he said can lead to "the poisoning of young minds". A group of officials charged with protecting privacy rights, urged lawmakers to ensure that any new measures take an "evidence-based" approach. "We acknowledge that security is essential to maintaining our democratic rights," the Privacy and Information Commissioners of Canada said in a joint statement. "At the same time, the response to such events must be measured and proportionate, and crafted so as to preserve our democratic values." Harper, meanwhile, was preparing for a trip to China before the upcoming Asia-Pacific Economic Cooperation Summit in Beijing Nov. 7-11, according to Chinese Foreign Minister Wang Yi. Harper had been set to attend the event but scotched the trip in the wake of the attacks, deciding to be home for Remembrance Day on Nov. 11, when Canada honors its war dead. Security at the Parliament building was somewhat tighter than it had been a week ago, with guards carrying firearms near the front door that Zehaf-Bibeau ran through.